Abu Dhabi: In the 70s and 80s, Asian expatriates would often take along letters sent by relatives and friends back home when they went shopping before their vacations. “Those letters had a list of gifts they [relatives and friends] wanted. Some customers used to come with a list, some others used to bring the letter itself,” reminisces Seddiqi Mohammad Rizvan, 70, who joined his uncle’s shop in Abu Dhabi in March 1972. “There are no more gift lists now; the culture [of Asian expatriates and their societies] has changed,” adds Seddiqi Mohammad Jaafar, 69, Rizvan’s brother-in-law, who joined the same shop in 1974. The dwindling trend in gift-shopping reflects changes in Asian countries, including economic liberalisation and transformation from joint families to nuclear families and its impact on relationships. 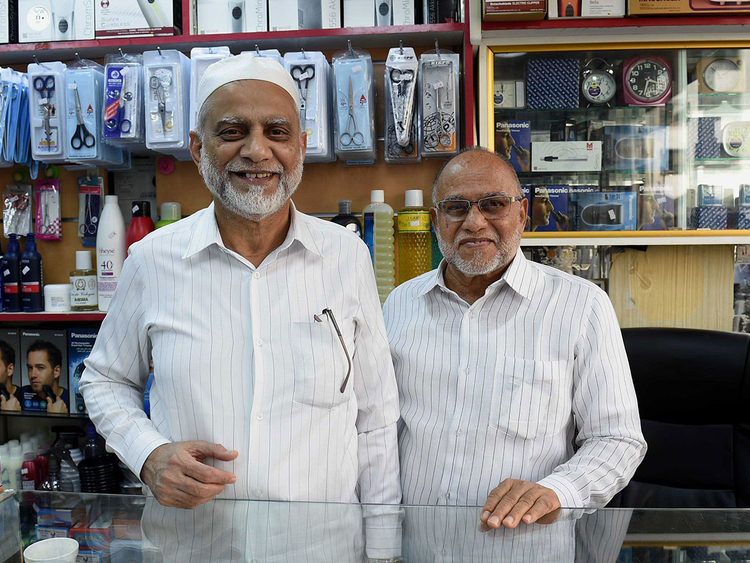 The Indian brothers-in-law from the South Indian state of Karnataka said their uncle opened the shop selling cosmetics, garments, electronics and related miscellaneous products in 1968 on the Abu Dhabi Corniche, and it later moved to its current location off Hamdan Street in 1990s. The two of them who share experiences of around 44-46 years’, are now all set to leave Abu Dhabi in a few months time, handing over the business they had nurtured over the decades to the next generation. A few months before the holidays, expats [in the 70s and 80s] would send letters to relatives and friends asking them what gifts they wanted. Those back home would eagerly wait for their loved ones to come home with a bagful of gifts. According to them, in the 70s and 80s expatriates would begin their gift-buying spree weeks before going home. When they went home, they would carry big bags and boxes filled with exotic items from Abu Dhabi. “In fact, a few months before their holidays, those expats would send letters to relatives and friends asking them what gifts they wanted. Those back home would then eagerly wait for their loved ones to come home with a bagful of gifts,” said Rizvan. For most of the expatriates from the villages in India, Pakistan, Bangladesh and Sri Lanka, physical letters were the only means of communication with their families and friends back home in those days, Jaafar said. "Only cities and towns had land-phones. They used to buy electronics items and garments imported from Japan and Europe, which were not available back home. The recipients of those exotic gifts would be very excited,” Jaafar recalled. However, with economic liberalisation, those products began flooding Asian markets in the 1990s. When Asian nations liberalised their economies and removed restrictions on imports — the items were no longer ‘exotic’ for the people back home. “Why would they want something that was already available back home?,” Jaafar said. Only cities and towns had land-phones. They used to buy electronics items and garments imported from Japan and Europe, which were not available back home. The recipients of those exotic gifts would be very excited. Meanwhile, joint families began making way to nuclear families. “An expat today has to buy items only for his wife and children; not for siblings and their children who used to live in the same house,” Rizwan said. Transformation in the family system had an overall impact on relationships. This was also reflected in the gifting tradition, as expats stopped buying gifts for extended relatives and friends, he said. Increased cost of living here over the years also contributed to this trend, Rizvan said. “When you spend more money on living, not much is left for buying gifts,” he said. According to the shopkeepers, radios operating on batteries was a popular gift in those days as there was no electricity in Asian villages. “Now very few customers from remote villages ask for it,” Jaafar recalled. Their shop had a golden run until mid-1980s before supermarkets sprang up in every corner of Abu Dhabi. Expatriate families started moving to those supermarkets. When shopping malls and hypermarkets came up in 1990s and 2000s, that shift was complete. The market off Hamdan Street became one for bachelors. Customers from remote towns such Al Ruwais and Al Sila in Al Dhafra region of the emirate [formerly Western Region] still visited the shop for some time, but even they have stopped coming now. “Most of them worked in oil facilities. In recent years when shopping malls were opened in that region, they also stopped coming,” Rizwan said. Still the old market stayed afloat with a loyal customer base. 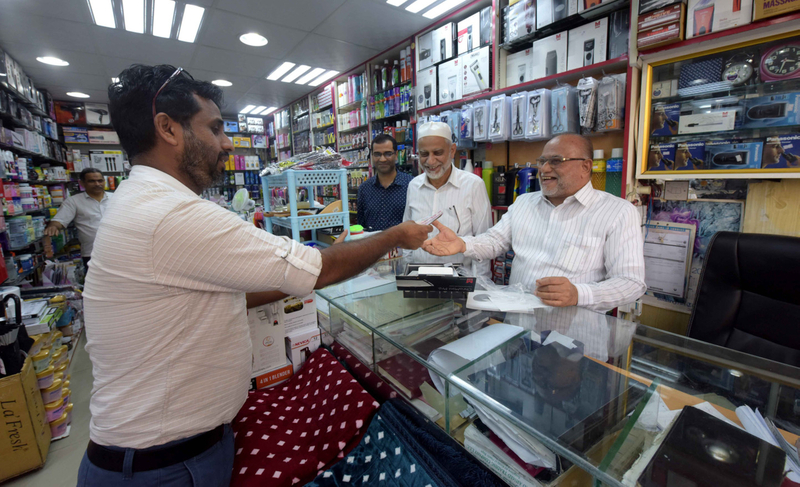 “Emirati and Asian customers recommend others, which has grown to a solid customer base,” says Rizwan’s son Sameer Ahmad, 42, who has taken over the shop along with his two younger brothers. While the returning duo is planning to enjoy their retired life in Bhatkal, their hometown in Karnataka, they will cherish fond memories of Abu Dhabi. “We had only good experiences. Our families prospered,” Rizwan said. “During the past 50 years [since their uncle set up the shop in 1968], there was not a single bad incident — not a minor theft or bad behaviour from any customer; this is a wonderful land,” Jaafar said.